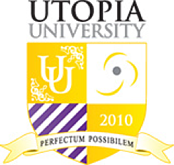 At Utopia, we value the talent of our Utopia University participants as an asset to the Utopia team. We work with them to grow and develop their strengths and talents to help them improve their performance levels. At Utopia, you write your own ticket to success. In 2009 after booming growth and global expansion, Utopia leaders began a conversation about the best ways to acquire the talent needed to support our client projects. Training is viewed as a strategic function at Utopia and this viewpoint allowed us to be creative in devising a plan to acquire and train top talent that would separate us from the competition. This thinking led to the successful venture known as Utopia University (UU). Utopia University is an intensive two-part, three month paid training program that equips participants with all the skills necessary to become successful consultants in the data migration or enterprise asset management disciplines. Utopia University trains consultants to our exacting standards. 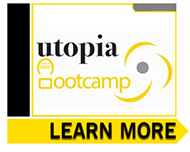 Participants in Utopia University are trained to the exacting standards our clients want and need. Through a two-part, three month hands-on training program, participants become well versed in the software and methodologies that we use on a regular basis. After passing weekly assessments, hands-on project work and a final examination, participants receive full time positions with Utopia and could be deployed on projects site around the globe. Utopia University provide the hands-on training I wish I received in college. Part II: 4 weeks of on-the-job training in one of Utopia’s Delivery Centers. Participants apply all they have learned in the practical session with live data.